Hi everyone! This is a sample from my book Orpheum, which is based on the mythology surrounding Orpheus and the Maenads. It includes some unique insights about fauns and satyrs. My interpretation is mythology-inspired and supported by the available evidence, but not universally accepted. I’m also giving away a copy of Orpheum, along with a copy of Alexandra Bracken’s Passenger and Victoria Schwab’s This Savage Song (which also both feature violin players). Professor Paleva made me practice until my fingers bled. I waited for her to notice slick red running down my violin strings, but she didn’t let up for another half hour. I pushed past the pain but I was having trouble hitting the right notes. Finally she sighed and nodded that we were done. I took my hand off my instrument and stretched my fingers. She handed me a damp rag to wash them off. I thought about what Denzi had done to my shoulder and wondered whether I could heal myself with music. “I don’t suppose you can fix these?” I said, waving my red fingers in the air. “So you know then. What he is?” she asked, pushing her glasses up higher on her nose. Professor Dobreva sighed and sat beside me. I shuddered at the image. “So only fauns can heal, with their pipes? Because of the harmonious notes?” I asked, trying to understand. I wondered then where Denzi’s abilities came from. Who had broken his heart? I’m so excited to announce that The Golden Shears is done and will be available in a few days! 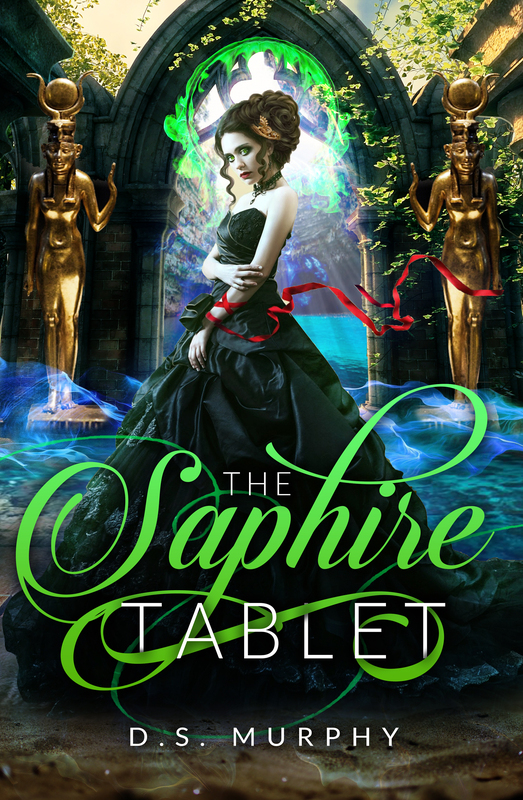 I really got to dig deep into the mythology in this one, and there are a LOT of twists and surprises. Thank you SO MUCH to everyone who preordered a copy. Please leave a review as soon as you can if you liked it! The audiobook edition of Scarlet Thread is now available! If you’ve bought the book on Amazon previously, you should be able to get it for free. It’s my first ever audiobook, and I hope you like it – if so please leave a review of the audiobook here. View the audiobook on Audible or sign up for a free trial. If you’ve read The Scarlet Thread and enjoyed it, please add it to some lists on Goodreads. You can also leave a review on Goodreads or post one on Amazon. My wife found this awesome metal glove on Instagram and it’s similar to one Kaidance will get in book three – so I’m giving one away, along with an obnibus edition of the full series (when it’s ready). Sign up here to win! Scarlet Thread cover reveal and SNEAK Preview! 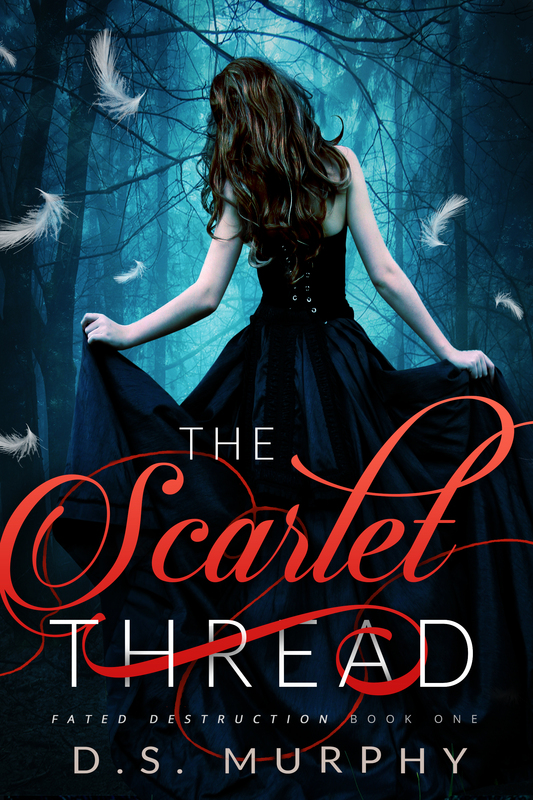 I’m so excited about this new cover for Scarlet Thread! It’s my most popular book, so with a new cover and a tweaked summary I’m hoping to boost my downloads significantly. I had meant to publish the 2nd half of this story in “book one” – but since part one is already 60,000 words, and since the full story I have mapped out would be around 130,000 words, I’ve decided to add three chapters to part one and just call it “book one” – it’ll be as long as most normal urban fantasy books, at about 75K, and will end on a cliffhanger, but not quite such a dramatic and annoying cliffhanger as it does currently. With those changes, I’m going to take it off permafree and change it to 99cents, with book two continuing the story, and book three finishing it. If you haven’t read it yet, get it HERE. If you get it before I update it with the new chapters, I’ll try and get KDP to notify you of the updates; I’ll also add the extra chapters to this site. In the meantime here’s a sneak peek – a never before seen chapter. (It’s rough and still needs editing). My name is Kaidance Monroe, and sometimes when I touch people, I see how they die. At least that’s how this story began. But last night changed everything. A few days ago I saw Matt die. I saw the sword sticking out of his beastly chest, blood gurgling from his lips. The golden sword, glittering with blue jewels, the crown that symbolized Zeus’s kingdom shining like a beacon in the darkness. All of Zeus’s winged army had swords like that—hunters, created to rid the world of magic. In the past, every time I had a vision of someone’s death, it came true. But last night, when hunters broke in through the ceiling like bolts of lightning, it was my death they were after. So I couldn’t let them kill Matt. I couldn’t let him die for me. I was supposed to use the shotgun and sword Sitri gave me, but I couldn’t do it. Not when I saw Puriel. His tall, muscular body. His amber eyes and nearly white hair. The shimmering mirrored wings behind him. I couldn’t destroy something that beautiful. And I didn’t want any more deaths. I just wanted it to stop. So I offered myself to him. Let them take what they came for. In that moment, I was prepared to die. Instead… Puriel burst into flames, and Matt lived. Which means, my visions don’t have to come true. Which means, I might not be the monster everyone always thought I was. But why did Puriel hesitate? Why not destroy me like Zeus ordered him to? He’d become a torch, cast off from Zeus’s favor. After serving obediently for thousands of years. How could that have happened? I was about to find out. After the attack, Sitri had practically carried me back to my room and told me to stay put. The others started cleaning up the wreckage and removing the bodies. I was most worried about Matt and Priya, because I’d seen them get hurt, but I knew Alice would take care of them. I wondered how many others were injured. Sitri had posted four torches outside my door for my protection. Every time I stuck my head out to see what was going on they crossed their swords and blocked my path. I felt like I was under arrest. I wanted to talk to Sitri or Able, I needed answers—and if I couldn’t have that, at the very least I wanted to help out and keep my hands busy. Being stuck in my room while everyone else was working was driving me crazy. I couldn’t stop thinking about Puriel. What had happened? Why had he caught on fire like that? Why didn’t he kill me when he had the chance? It was an hour before I realized I still had Able’s invisibility cap—I’d stuck it in my pocket after confronting Puriel. I snuck through the bathroom into Sitri’s room and opened the door cautiously. With the cap on I stuck my head out to peek at the torches. The floorboard creaked when I took my first step out of the room and I froze, my heart racing. Two torches whipped their heads towards me, but after a moment faced forward again like marble statues. Most of the mansion was empty, I thought there would be more damage but it seems the attack was focused only on the upstairs floors—as if they knew exactly where I would be. I heard voices and followed them to the second floor. Eligor was addressing a small group of torches. “Is it true the fourth hunter fell?” someone asked. There were murmurs when Eligor nodded. He held a hand up and continued. Eligor gave instructions and the torches left to carry them out. He paused when we were alone and he looked at the place where I was standing. But then he left and I was alone. I wandered lower and lower into the house until I found a room I hadn’t been in before. In the corner was a descending spiral staircase made of large rectangular slabs of stone. I followed it down into a sublevel of the complex, which looked practically medieval. It was mostly used for storage and seemed to have enough food and supplies stockpiled to last a hundred years. I shuddered as I passed a room full of hooks, chains and complex devices I hoped weren’t tools of torture. Finally I found a row of thick iron doors with tiny barred windows. I peeked through the rusted iron bars until I found Puriel. I could barely see him in the dark. His pale, white body made him look like a ghost, surrounded by walls of solid concrete. Ash and soot stuck to his skin in dark patches, and he smelled like charcoal, singed hair and burnt feathers. I heard the grating noise of heavy chains being dragged across the stone floor and noticed that the dark cuffs around his neck and wrists were fixed to the wall. I gasped when he looked up, his eyes were black sockets, gaping voids of desolation and heartbreak. The beautiful thing Puriel had been yesterday was gone, and this thing was ruin incarnate. His eyes sparked like glowing coals, as furious patches of bright orange burned in the darkness of the room. He moaned, straining against his restraints, his muscles tense as he reached towards the door. Towards me. I choked back a sob at the thing he’d become. Then I took the heavy skeleton key, turned the giant lock, and stepped inside. “It’s you, isn’t it,” he said as the door creaked open. His eyes darted across the cell. I realized he still couldn’t see me. I stepped into the far corner of the room, out of his reach, and removed Able’s cap. “You mean Zeus?” I asked. Everything Able told me had been true. Puriel nodded, then he sank his face in his hands. “And what is he?” I asked nervously. My knees trembled as the world resonated in the small space. I’d heard those titles before… but they didn’t make any sense here. Those were titles for the Devil in Christian mythology. What did that have to do with Greek legend and mythology? A felt a sinking in the pit of my stomach as I realized the truth. Maybe I’d already known it. Le Diable—Able. I’d dined with the devil and didn’t even know it. Suddenly, everything clicked into place. The hunters could fly and had wings. They served their almighty Lord with pure obedience. “You’re an angel,” I said, breathlessly. I felt sorry for him, even though he had been trying to kill me. In a twisted way, he’d sacrificed himself to save me. Even if he hadn’t done it on purpose, and even if he was regretting it now, I still felt a twinge of responsibility. My head was spinning as I reached for the door handle. Hope you liked it! If you have read Scarlet Thread please add a review. Here’s a list of my favorite young adult books based on Greek Mythology. Click the covers to see them on Amazon! I’m running a giveaway so you can win some of these books, scroll down to enter! This one is mine! And I only have part one up; it’s a mashup of fallen angels and forgotten gods, kind of Percy Jackson meets Fallen. Or see it on Goodreads. Orpheum is mine too – it’s based on Orpheus and Eurydice; an amazing tragic romance basis that is much less used than the more popular Persephone and Hades. Here are some lists of mythology books for teens on Goodreads; if you like any of the books above, please add them to a list or vote for them! If you like any of these books, don’t forget to review them! Authors work really hard on their books, and we love feedback – even a few simple sentences would be amazing. @Creativindie wow that’s amazing! Thank you so much!